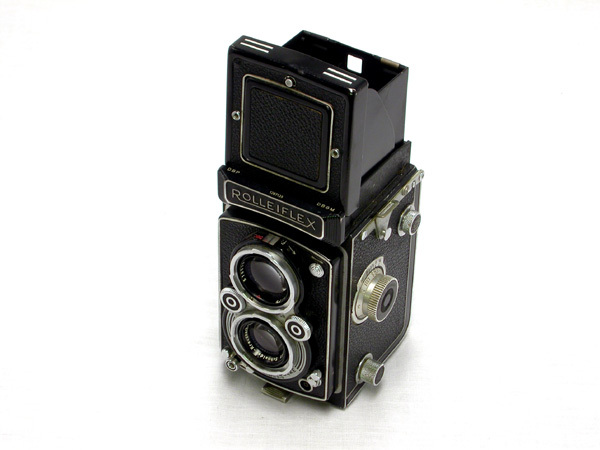 1951 Rolleiflex Automat 4 is my father's camera that he bought new in Washington DC. This version has the Schneider-Kreuznach Xenar f3.5 / 75mm lens. They bought it late in 1951 on a working student budget. It was one of their first purchases after their marriage (a bottle of Dry Sack sherry was the first). It came with the Schneider lense when the Zeiss suppliers were unable to supply the Tessar lense.